A red-faced judge convened court after a long lunch. The first case involved a man charged with drunk driving who claimed it simply wasn't true. 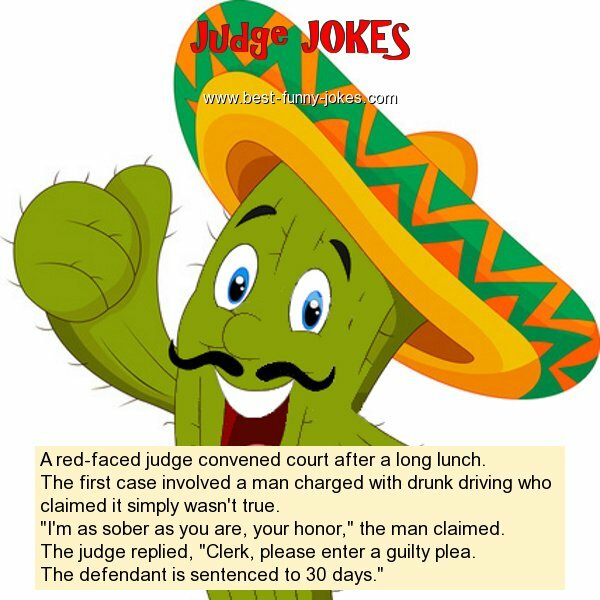 The judge replied, "Clerk, please enter a guilty plea. The defendant is sentenced to 30 days."